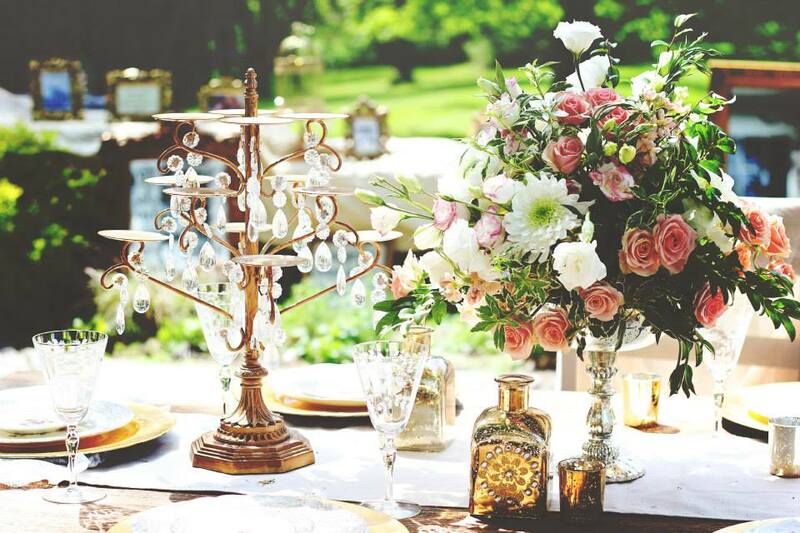 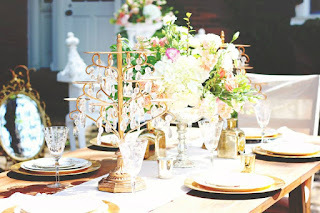 This vintage tablescape we created focused on the very popular blush and ivory color scheme. 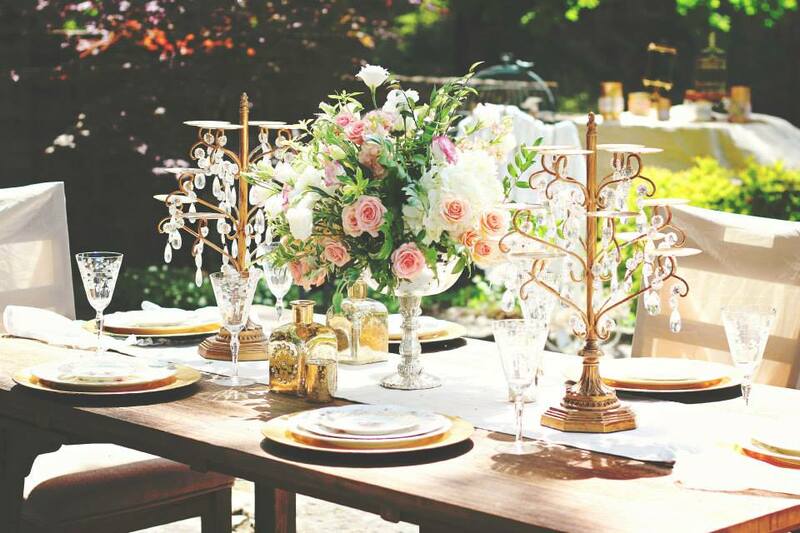 We added other accents of gold, mercury, and crystal to give everything a more formal look in this outdoor setting. Images by Storybook Photography. 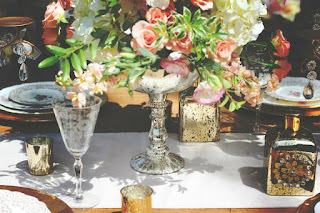 Many different metallics were used together on the table. We love this combination of formal accents! The flower arrangements were done in a mercury compote for a traditional vintage look. 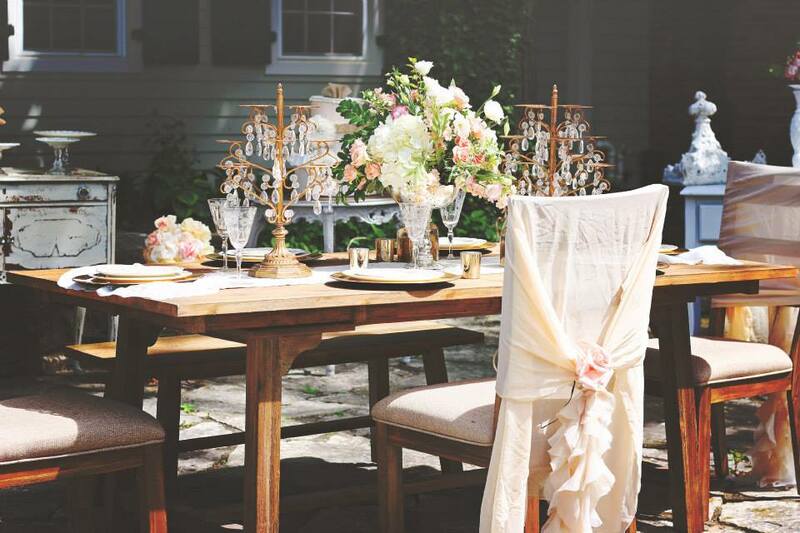 A special thanks to Heartland Estate for letting us borrow their perfectly vintage venue for this design!